In 1994 we had a vision to offer salons and stylists worldwide the knowledge and tools needed to create customized looks and styles for their clientele. From chemical free color and highlights to volume and length. From special occasions and social events to school rallies and theatrical venues, now we are able to offer you and your clients a wide variety of professional services. Our Hair - We traveled the world in search of the most natural looking hair and ways to make the application undetectable. We offer only 100% remy hair, which means the hair cuticle is facing in the same direction which prevents tangling and matting. 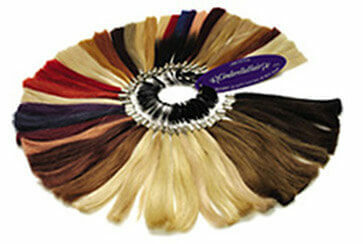 Remy hair allows the blending with your own hair to give the appearance of natural, healthy looking hair. We began with an organic bond that resembles human hair and when attached and removed, no damage occurs. 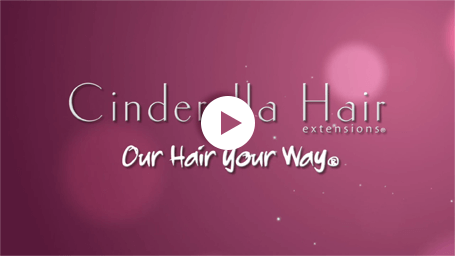 For many years, stylists and clients raved about their results and satisfaction by using our organic bond extensions, but some wanted to offer different types of applications and still have the same quality of hair Cinderella Hair offers. With that in mind and the support from our stylists and salons in 2011 we were proud to introduce Our Hair Your Way® - a totally new concept in hair extensions! Not only do we offer our Classic Bond Hair Extensions and now by offering I-Hair® I-Tip Extensions, Flat Tip I-Hair®, T-Hair® Tape Extensions, Cinderella Hair® Strips and Cinderella Hair Veil® you now have endless choices and possibilities. We offer you a 2 Day/6 Methods/16 Hour Hands-on Training Seminar where you will learn our Classic Bond Organic Hair Extensions, I-Hair® I-Tip Extensions, Flat Tip I-Hair® Extensions, T-Hair® Tape Extensions, Cinderella Hair Strips® and Cinderella Hair Veil®. You can be assured you will be receiving the most comprehensive seminars in the beauty industry!